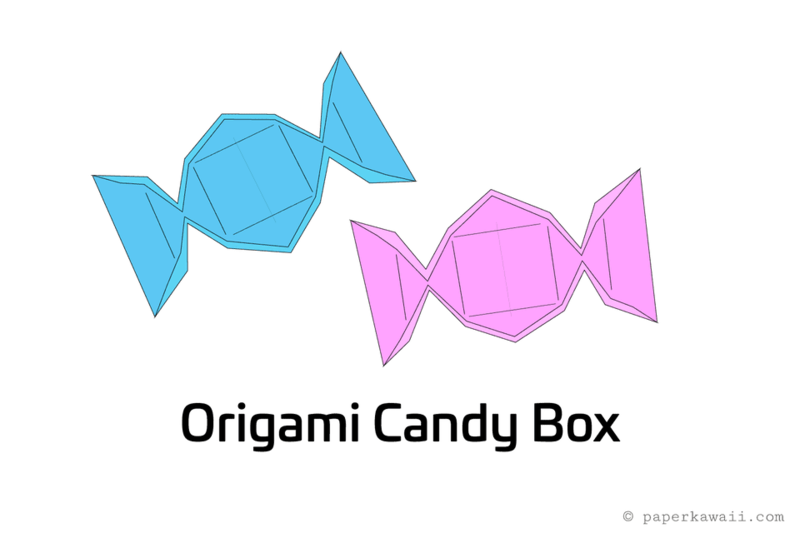 These origami candies are easier to make then they look. Once you have the hang of it, they take just a few minutes to make. If you want really small ones, start with paper that's about 7.5 x 7.5 cm or for larger ones use 15 x 15 cm (regular origami paper). You can use any thickness of paper and if the paper has a white side you will not see it on either side. 1. Start with your paper WHITE side up. Fold the paper in half, top to bottom and unfold. 2. Fold the top and the bottom edge to the central crease and fold well. 3. This is the result, flip the paper to the other side, left to right. 4. Fold the left edge to the right and unfold, making a neat central fold. You're going to now fold 8 equal sections. 5. Fold the left and the right edge to the central crease you just made. 6. Fold the right edge over to the left edge and crease well. 8. Fold the left and right edges inwards and unfold, completing the division of 8 equal sections. 9. Fold the top and bottom edges to the central fold, creasing well and then unfold. Flip the model over to the other side, left to right. 10. There are valley folds indicated. Make these folds by bringing the corner to the central fold and creasing only where indicted on each corner. 11. Flip the model back over to the other side, left to right. Push the top and bottom edges upwards, assembling the box. 12. You can see here the mountain and valley folds are indicated, you will be pushing where indicted. Continue to the next page to see what happens next. 13. Push the ends together as shown here. 14. Open out the end and push the squash fold together to flatten. 15. If you want a rounded candy look, pull out the top and bottom edges, flattening the left and right side on top. 16. You can also make the ends look rounded, by folding them inwards and making the diagonal folds that are indicated. If you struggle with this part, check out this quick video tutorial.